Cookie dough, juice, smoothies, wraps, oh my! Yo Yo on the Go provides bowls, wraps, salads, and Eddie Bull's cookie dough for dessert. This trailer's fresh juices come with no added sugars to help put a pep in your step without the additives. 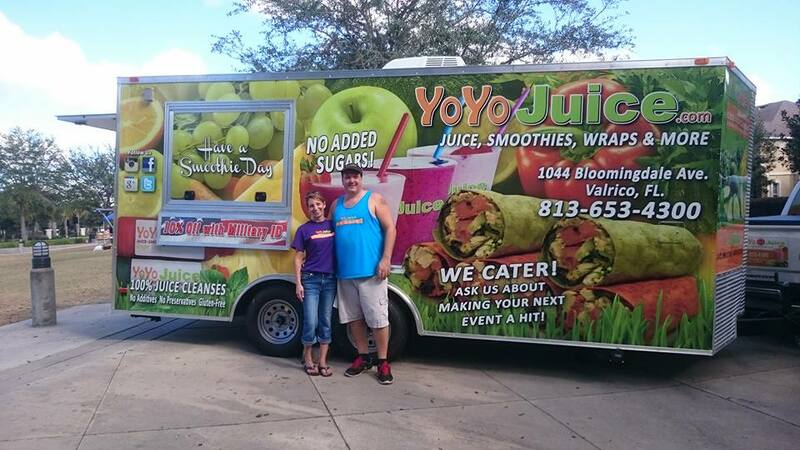 Book Yo Yo on the Go with Tampa Bay Food Trucks today.